Scott Day is an experienced executive who has accepted transformative roles throughout his career. He has managed both large and small P&L’s with leadership roles in sales, engineering, operations, IT, and strategy. Scott has succeeded in a wide variety of roles that make him a natural fit to grow a company profitably with a keen eye for technology. In Scott’s most recent role as Executive Vice President of Strategy at Thyssenkrupp Elevator Corporation for 14 countries in the Americas’ business unit, he focused on digital transformation. With this initiative initially centered in the U.S., Scott leveraged his past engineering experiences to overcome thechallenges of setting up an Internet of Things (loT) platform with more than 60,000 assets deployed. As head of strategy for the $3. 7B Americas business unit, Scott built the strategy, product management, and R&D program management functions from the ground up. With a passion for running the business, Scott has succeeded in challenging P&L roles throughout his career. Scott’s expertise in digital transformation led to publication three times in two trade publications and he is repeatedly asked to speak to business leaders of $1 B to $10B companies at field service management and loT of Business conferences throughout the U.S. Scott’s passion is in field service and technology. Inquisitive by nature, Scott is committed to life-long learning, loT, cybersecurity, and artificial intelligence applied to business decision-making as areas of study. 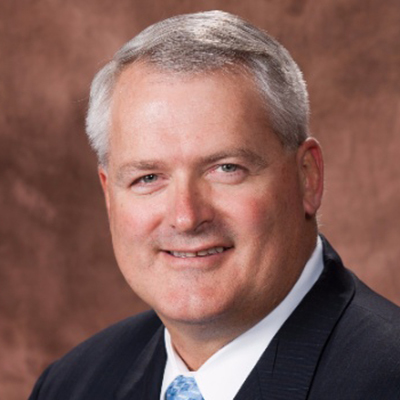 Scott is a Board member of the CEO Trust – Dallas Chapter, Association for Corporate Growth (ACG) – Atlanta Chapter, Manufacturers Alliance for Productivity and Innovation (MAPI) Division Leadership council and serves on the Worldwide Business Research’s (WBR) Field Service AdvisoryBoard. Scott is currently CEO and President for his own loT Consulting business while he pursues his next opportunity to lead and transform a business with aggressive growth targets. Scott has certifications as a Lean Six Sigma Yellow Belt and as a LEED Green Building Associate and holds degrees from the University of Phoenix in Business Management and the Wentworth Institute of Technology in Computer Technology. Publications include; Using Today’s loT Capabilities to Gain Competitive Advantage – Field Technologies Online, Establishing the Right Technology to Enable Wide Use of Digital Services – Field Service News and Integrating loT Into Field Service Strategies – CIO Applications, CXO Insights.